A recent audit of the U.S. Postal Service indicates there are few safeguards to prevent against internal theft of packages containing marijuana. The U.S. Postal Service employs some 500,000 people nationally, and most do their job with expedience and integrity – often despite having to deal with the public in their less-than-likable moments. Still, an investigation was launched by the service’s inspector general’s office after several reports of theft of so-called “pot mail” surfaced. It’s important to point out here: The U.S. Postal Service controls the general mail and that is overseen by the federal government. Even though California, Colorado, Washington state and others have approved medicinal and recreational marijuana laws, it is illegal to mail these items via the postal service. Doing so could lead to a felony charge. Even private carriers, such as FedEx, refuse to ship items that would otherwise be banned for transportation under federal, state or local laws, rules or regulations. What’s more, these private carriers have the option of calling police to report if there is a package suspected to contain marijuana. Private courier services might be less discerning in the kinds of packages they deliver, but marijuana delivery – even in states where recreational marijuana is allowed – is usually still illegal unless it’s done on the site of a licensed marijuana dealer. The recent U.S. Postal Service audit, conducted at seven sites in October, were prompted after a number of high-profile incidents in which postal workers were accused of stealing pot-containing parcels or using their positions to accept kickbacks from those trying to deliver such goods. For example, there was a postal worker in Illinois arrested in September for allegedly delivering marijuana knowingly by mail. Earlier in the year, two other workers from Chicago were stopped when they reportedly tried to heist at least 16 marijuana-filled packages from O’Hare International Airport. Then in Washington, D.C., several postal workers were accused in the summer of accepting bribes to deliver marijuana packages. The U.S. Postal Service’s narcotics program released a partial report recently, but said the full audit wouldn’t be released to the public due to the fear that some sensitive information might be revealed. The agency indicated that in 2015, there were 34,000 pounds of marijuana seized from the mail stream. Our marijuana defense lawyers know these packages can be used as evidence in criminal proceedings. Still, the service was willing to concede that there were practices that allowed postal workers discretion in certain areas and perhaps there should have been greater oversight. Specifically, the agency reported there were insufficient controls in the handling and tracking of packages suspected of containing marijuana, following the initial retrieval. There was a high risk that these packages would be lost, stolen, mishandled or undetected. The inspector general recommended implementation of a national policy that would provide clearer guidelines for tracking and securing packages that were suspected of containing marijuana. 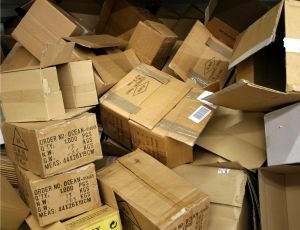 Having a more streamlined approach – with clearly-defined roles and goals – would help to simplify the process and make it less likely that such packages will be stolen or otherwise fall through the cracks. The U.S. Postal Service has said it cannot comment beyond what was released in the federal information request.